CaliforniaMedigap.com is your online resource to understand the Medigap market in California. This means a constantly increasing online library of resources and articles to address the various questions associated when someone is first confronted by the all the choices that Medicare eligibility brings for a California resident. 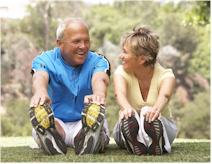 Unlike most companies, we concentrate on California Medicare supplemental insurance. We adhere to the belief that in the ever-changing world of insurance, focusing on one area and a few solid companies is the best path for everyone. This is the deal. 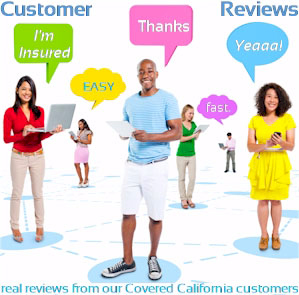 Most of the companies and people that will sell you a California medigap plan also sell all kinds of different insurance from car and home insurance to discount health plans. In the end, each section of the health insurance market (including California Medigare) has it's own rules, regulations, plans, and quirks. It's hard to keep up with all the changes across multiple different kinds of insurance. It's better to focus on one and do it really well. That's our philosophy. Concentrating on the health insurance for over 25 years, our company has developed a reputation for explaining the various plans out there in a simple, direct, and honest way. Read through the articles (we'll constantly be adding more every week) and you'll get a sense of what we mean. We're not trying to push you into the most expensive (they don't make sense) or trying to sell anything for that matter. We're trying to educate you so you can make an informed decision. That's what we would hope someone would do for us in a similar situation and more importantly, it's what we would hope someone would do for our parents. You'll be able to tell by the content on our site that we really want to give you the information on the California Medicare supplement market and put the ball in your court. We're just here to help with questions that arise and they will. The rate is the same to you either way. We don't sell. It is not to our advantage for a person to have a plan that they don't understand and that will not provide them the protection they want. We educate. We explain and that is our value. The California medigap rates and plans are identical...whether you buy it directly from the carrier, from your local broker, or through us. Then why go through California Medigap?? It will be difficult to get the carrier with their many telemarketing reps or your local broker with his or her many types of supplemental insurance to really get down to the nuts and bolts of what makes a good health insurance plan for you. We don't sell...we educate. We are independent brokers...we can represent many companies out there. We make sure to concentrate on strong carriers in the California Medicare supplement market since the decision your making can extend decades into the future. So give us a chance. We welcome your questions and we would be happy to go through the various options out there in the health insurance market. Everyone's situation is different and that's where professional and LICENSED assistance can make all the difference between finding the right California Medigap plan and being disappointed a few years out when you really need the coverage. You don't want to be in that situation as the option to change plans may be gone. www.californiamedigap.com provides California Medicare supplement rates, applications, and information to better help Californians understand their options. Call us at 800-320-6269 or run your instant Supplement quote below. - Which is less expensive? - What's the trade off? - Effect on your doctor choice? -What information do you need?